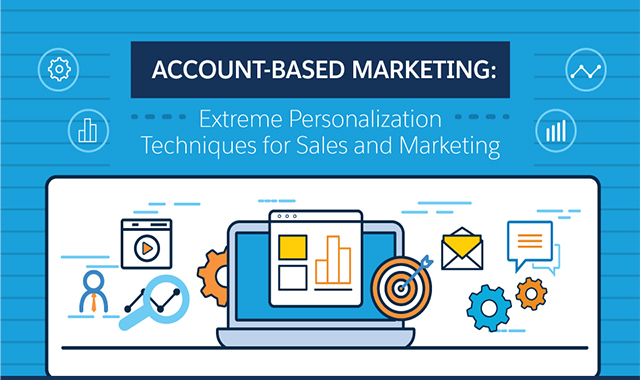 Account-Based Marketing: Extreme Personalization Techniques for Sales and Marketing #infographic ~ Visualistan '+g+"
Account-based marketing is the B2B marketing and sales technique that focuses on finding the companies you want to have as customers, then networking with contacts until you have advocates for your company within that potential account. This personalized form of marketing, aided by artificial intelligence, helps companies form lasting, mutually beneficial relationships with their customers. Is your company part of the 58% that say they’re planning to invest in ABM technology? The majority of companies say this type of marketing delivers higher ROI than other types, and investing in ad tech helps companies engage with defined audiences, retarget leads, and conduct web conversion optimization to engage and qualify visitors to a site. Marketing automation, web analytics tools, predictive analytics, and other advanced technology propel ABM and personalized B2B marketing.